In order to drive your vehicle lawfully in Texas, you must have auto insurance coverage in the event of a serious car accident. Texas law requires you to have basic liability coverage. You may also be required to have collision coverage and comprehensive coverage if you are still making payments on your car. When you select auto insurance coverage in Texas, you will also have the ability to choose personal injury protection (PIP) coverage or medical payments (med pay) coverage. 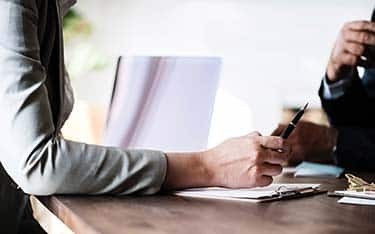 There are pros and cons to each type of coverage, and both are designed to provide some form of compensation in the event of physical injury in an accident. Generally speaking, PIP and Med Pay are similar to one another in a number of ways and have similar costs, but you may be better off with PIP coverage. We will say more about each type of coverage, and then provide you with some additional information to consider whether PIP is better than Med Pay. What is Personal Injury Protection (PIP) Coverage in Texas? Cost of hiring a caregiver for the injury victim. PIP covers the driver, the driver’s family members, any passengers in the driver’s car, and other injured people. In Texas, auto insurance companies automatically provide PIP coverage, but the insured has the option to decline the coverage in writing. Texas auto insurers must offer $2,500 in PIP coverage to insured drivers, but drivers can waive this coverage (however, we do not advise you to do this). Also, drivers have the option to pay for additional PIP coverage if they desire to do so. What is Medical Payments (Med Pay) Coverage in Texas? Med Pay coverage is similar to PIP coverage in that it provides compensation in the event of an auto accident that results in bodily injury. Like PIP coverage, Med Pay is a “no fault” type of coverage, so it does not matter who is liable for the accident in order for the insured to seek compensation. Also similar to PIP coverage, Med Pay provides coverage for the driver, the driver’s family members, any passengers in the driver’s car, and other injured people, including cyclists or pedestrians who have gotten hurt in the accident. Funeral bills resulting from a fatal injury. One of the significant differences between the two types of coverage is that PIP coverage pays for lost wages, while Med Pay does not. As we mentioned above, the first key distinction between PIP and Med Pay coverage is that PIP coverage can provide compensation for up to 80 percent of wages lost due to your inability to work. Med Pay does not compensate for lost wages. Imagine that you have Med Pay coverage, and you get hurt in an accident caused by another driver’s careless behavior behind the wheel. You file a claim for Med Pay coverage and receive a check. At the same time, you are trying to seek compensation from the responsible driver. Ultimately, you are able to recover from that other driver. At that point, the insurance company requires that you repay the Med Pay coverage you received. This “paying back” is the process of “subrogation.” Under the Med Pay system, the insurance company essentially pays you for the other driver’s liability. If you are able to recover from the other driver, the insurance company sees this as you needing to repay the insurer since it already paid in advance for the other driver’s liability. Since Med Pay requires you to pay back the insurer if you recover from the negligent party, Med Pay tends to be a little bit less expensive than PIP coverage. Finally, PIP coverage allows for coverage under more than one policy, allowing injury victims to add together (or “stack”) coverage in certain circumstances. For instance, imagine if you are riding in a car as a passenger, and the driver has PIP coverage. You also carry PIP coverage, and the vehicle is involved in a serious accident. You sustain injuries that exceed the amount of PIP coverage you have. If this happens, you may be able to recover under both the driver’s insurance policy and PIP coverage, as well under your own PIP coverage. Should I Choose PIP Coverage or Med Pay Coverage? First, many drivers and passengers alike may already have much of the medical coverage provided under Med Pay through their health insurance policies. That is a general reason you may want to select PIP coverage over Med Pay coverage. While it may not be true of all drivers, you should look into the type of coverage your health insurer provides to determine whether you would be getting substantial additional benefits from Med Pay in the event of a collision. Second, the issue of subrogation with Med Pay often means that PIP coverage is the better choice for many drivers. Finally, the fact that you can “stack” PIP coverage—obtaining additional compensation when the driver’s policy limits to not pay fully for your injuries—often makes it more desirable than Med Pay coverage. If you have questions about filing a car accident claim, a Texas auto accident attorney can assist you. Contact Sutliff & Stout today.